Don't call it exclusive, but AT&T is the only carrier supporting Windows 10 Mobile right now. Windows phone fans with AT&T service have just a few more days to wait for the Lumia 950. AT&T says it will launch the phone on November 20, with a total off-contract price of $600. Subscribers can divvy that up into 30 monthly payments of $19.97 (with an upgrade option at two years), 24 monthly payments of $24.96 (with upgrade at 18 months), or 12 payments of $29.95 (upgrade-eligible at one year). The price with a two-year contract is $150, though this raises the cost of service by $15 to $25 per month, depending on the size of your data plan. Currently, AT&T is the only carrier supporting Windows 10 Mobile, but the deal isn’t technically exclusive. Ever AT&T’s press release says it’s the “first U.S. carrier” to sell the Lumia 950, leaving open the possibility of broader carrier support in the future. Why this matters: Microsoft hasn’t released a flagship Windows phone since early 2014, and the last high-end AT&T Windows phone was the Lumia 1520 from November 2013. While Microsoft probably won’t win back market share with the Lumia 950 and 950 XL, at least Windows diehards will have some top-of-the-line handsets to chose from. As the only U.S. carrier selling either of the new Lumias, AT&T is your sole option for contract-based or monthly installment pricing. But if you can stomach a much higher-up front cost, you may be better off buying an unlocked phone instead of going through AT&T. 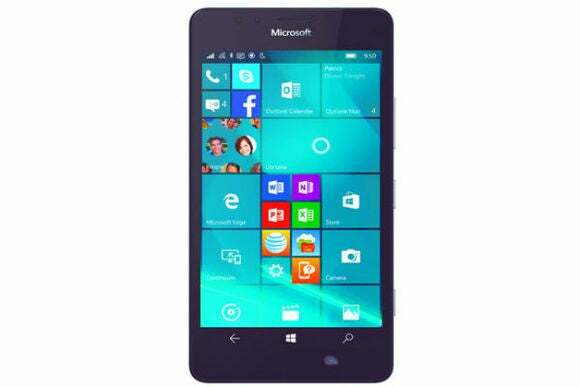 If you’re okay with a bigger phone, the 5.7-inch Lumia 950 XL could be a better deal than the 5.2-inch Lumia 950. 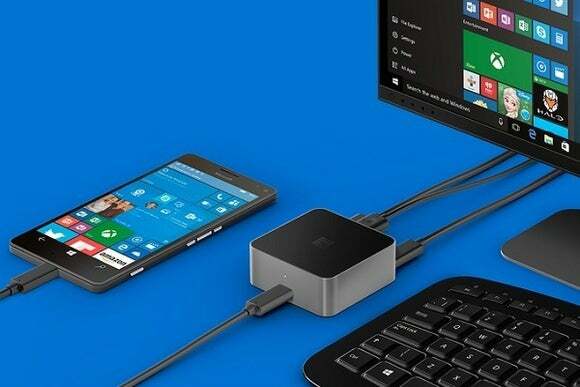 The unlocked price of the larger phone will be $650, but for a limited time Microsoft will throw in a free Display Dock, letting you plug the phone into an external monitor for use as a lightweight desktop computer. The dock’s regular price is $99, so buying it with an unlocked Lumia 950 will cost exactly the same as the Lumia 950 XL bundle. And of course, buying unlocked allows you to bring the phone to T-Mobile instead of AT&T. As for Verizon and Sprint, both Lumias support the necessary frequencies, but as Ars Technica notes, it appears that the phones won’t work those carriers. Customers on those carriers will just have to wait and see if Microsoft expands availability.